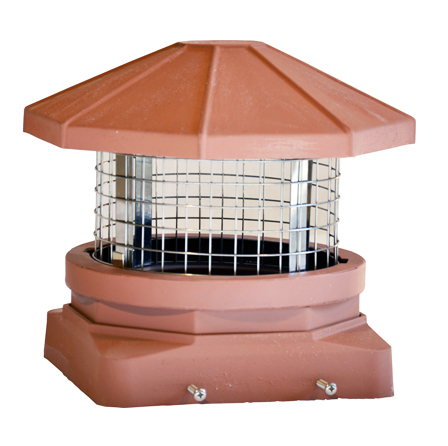 Decorative lightweight cast aluminum and stainless chimney cap for masonry chimneys. 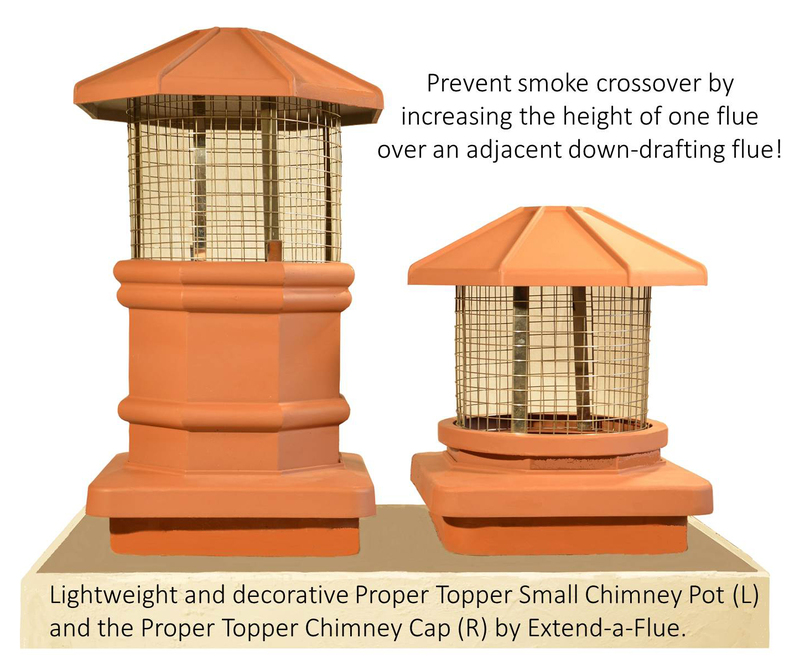 On chimneys with multiple flues, this small decorative chimney cap can be used along with the Proper Topper to provide a height differential and prevent smoke crossover. 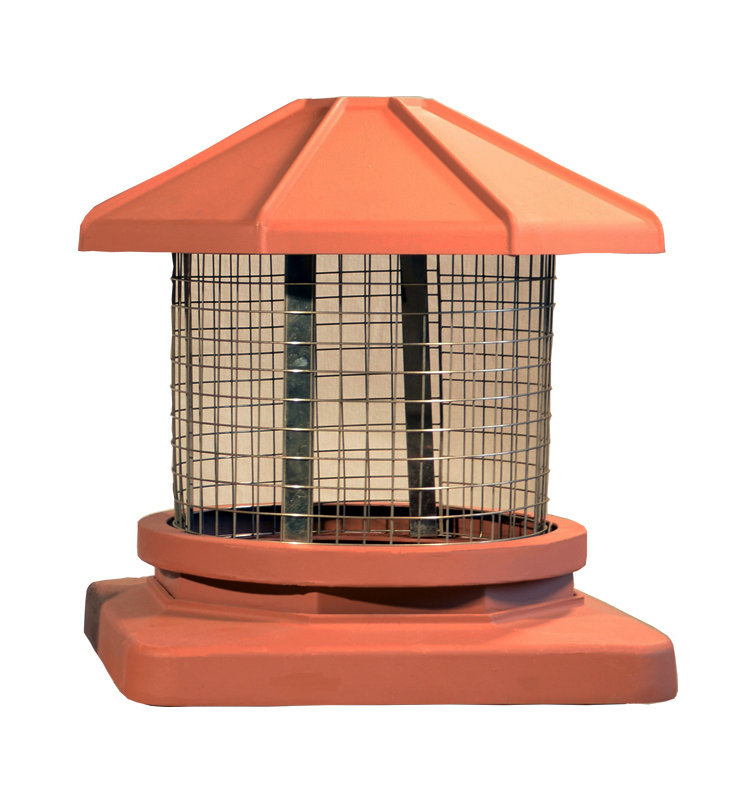 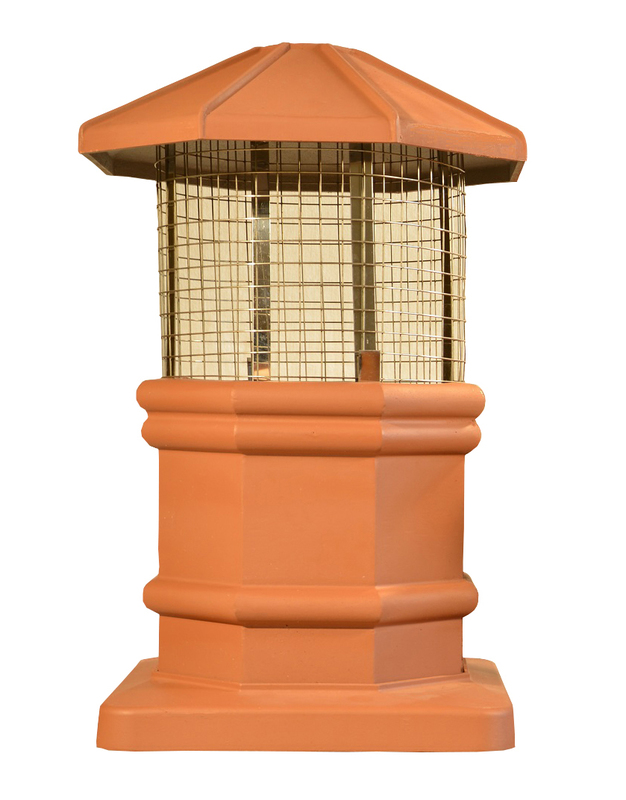 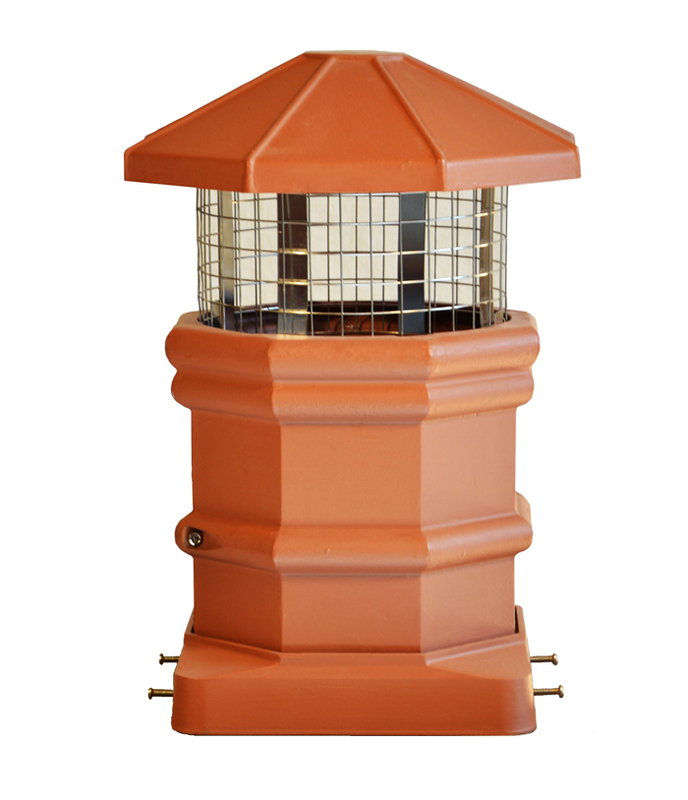 The outside mount base fits over and tightens to outside diameter flues from 7.5 x 7.5 inches to 8.75 x 8.75 inches.